Bowmore is one of the few whiskies I’m rarely without. There’s two reasons for this. One is that it’s such a good ‘everyday’ whisky (not that I’d like to give the impression that I drink whisky everyday). 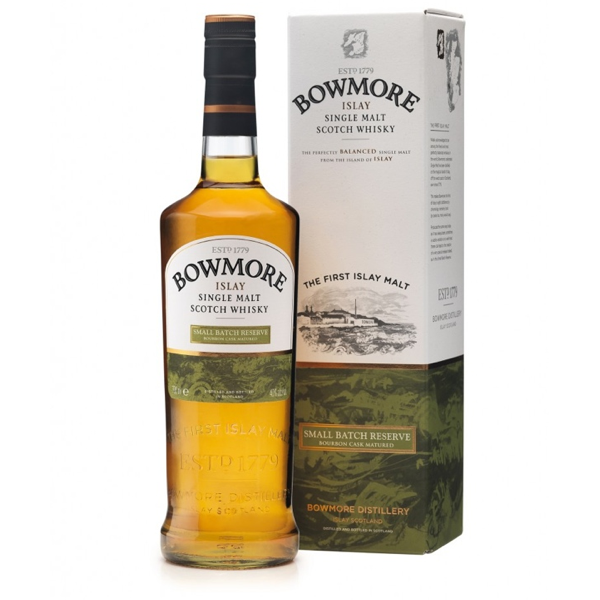 If you just feel like one glass late in the evening, Bowmore is a great choice. It’s clean and fresh, with a deep aroma, so you spend as much time enjoying that as the flavour. But unlike my favourites like Bunnahabhain, Lagavlin or Highland Park, once I’ve poured my glass and the stopper is back in I tend not to go back for a crafty second. The other reason is more selfish. I like to have a good whisky to give guests, but if they’re not whisky drinkers I don’t want to give them one of my favourites that they may not appreciate! So that’s two very good reasons for always having a bottle of Bowmore in the house.